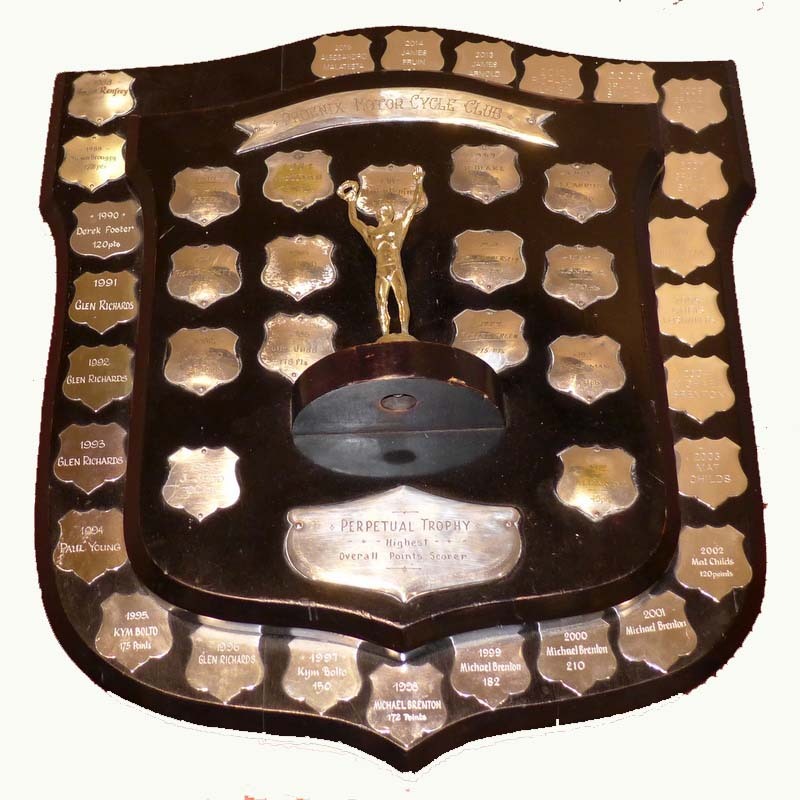 The Club Perpetual Trophies are engraved with the winners names for that year and presented at a special club meeting. The names go back decades and feature many prominent riders in South Australia. 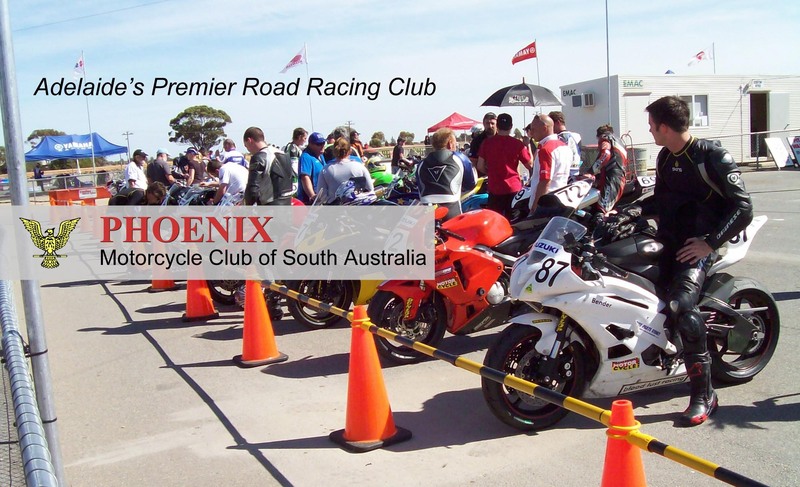 Riders can gain points from any Road Race held in South Australia where you entered as a Phoenix member… and you don’t have to do anything. The Competition Secretary will monitor results around the state and score you accordingly. Over the decades there has been a friendly rivalry between the Phoenix and Café Racer clubs and many social competitions have been held, usually Go-kart racing. But with nowhere to display the trophies, you don’t know who won! 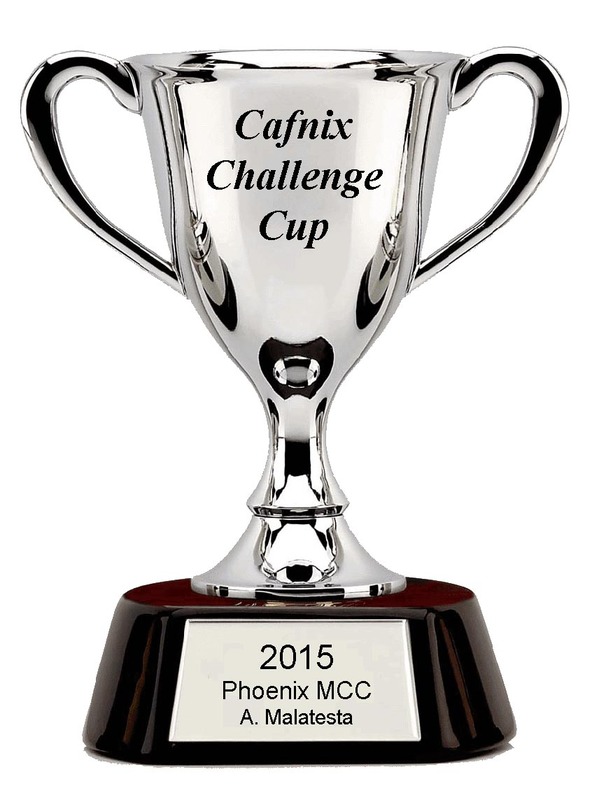 So we decided to make it a virtual trophy and put the results here. Started in 2014, the rider with the highest overall point score in the Cafnix Road Race Series will win this magnificent image of a trophy for their Club. 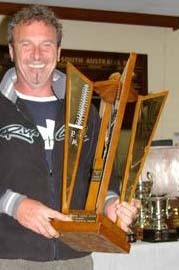 There was an actual trophy for this occasional competition, but it’s now buried in Rick’s garage because we won it the last 3 times we raced against Cafe Racer’s. But we are open to challenges from any club.